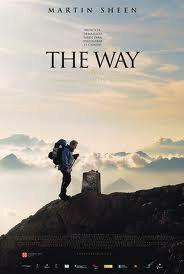 On October 21st, 2011, Emilio Estevez’s The Way will open into theaters and bring about, in my opinion, what looks to be a film of character and heart. An original film with triumph and faults. A film of which will change the way people see others and give them something to bring home with them. The trailer already secured me to purchase a ticket and I recommend the film to anyone who is looking to mend a broken heart or go on an adventure to great and epic things. The film is written, produced and directed by Emilio Estevez and stars his father Martin Sheen as Thomas Avery, a man who has lost his son in a tragic event and proceeds to walk a pilgrimage route by the name of Camino de Santiago. Emilio also steps in front of the camera and portrays in the film, Daniel Avery, the son of Tom. The film is already giving me better faith in people and the inspiration to help others and I hope it does the same for you come October. Comments for “The Way” to Open on 500 Screens are now closed.